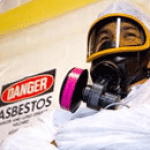 This Asbestos Contractor/Supervisor Initial training course is for any individual who performs supervision of persons permitted to enter the restricted and regulated asbestos abatement work area. The supervisor is also responsible for performing the duties of the OSHA competent person for the asbestos project, consistent with current EPA and OSHA regulations. An Asbestos Contractor/Supervisor must have completed this training, and have a valid certificate with them at all times while working on qualifying projects. This workshop prepares you to immediately apply your knowledge to the field, with extensive hands-on training and real-world examples from experienced instructors. Really good materials and a very experienced instructor. Really good materials and a very experienced instructor. The instructor did a nice job of going through the book material and how it relates to real world situations. The instructor did a nice job of going through the book material and how it relates to real world situations. Got a lot out of the class. Well worth it. Got a lot out of the class. Well worth it. Access Training Services and the instructor provided an excellent training experience for my asbestos training and certification.... Access Training Services and the instructor provided an excellent training experience for my asbestos training and certification. The location of the Institute was very convenient. He was an outstanding instructor and extremely knowledgeable in the field. Course was excellent. The instructor had incredible subject knowledge. Definitely would recommend. Course was excellent. The instructor had incredible subject knowledge. Definitely would recommend. The class for Asbestos Supervisor was extremely informative. Our instructor presented the material in a way that was easily... The class for Asbestos Supervisor was extremely informative. Our instructor presented the material in a way that was easily understood and had the entire class prepared for the test. The goal of our instructor was not just to ensure we all passed the test, but to make sure we understood the severity of the responsibility we would all carry now and the risks we could potentially put our workers and the public in by not strictly adhering to the regulations in place. Upon completion of the course, I was extremely confident that I was prepared for the test and scored very well. I now carry that confidence with me as I put what I have learned into practice. Thank you and great job! The class was great, very educational and helpful. The instructor also made the class a pleasant experience. Thank you. The class was great, very educational and helpful. The instructor also made the class a pleasant experience. Thank you. This class let me know in deep the gravity/seriousness of asbestos on health and how to specifically deal with it on site.... This class let me know in deep the gravity/seriousness of asbestos on health and how to specifically deal with it on site. But there was 3 different instructors, I think each of them was not knowing what the two other were teaching. So for some items we received the information two times, on the other hand, we were not informed of some valuable info (which were questioned in the test). Videos were too old and do not include the updates of the regulations. A lot of information to learn in one week but definitely was a great course and the instructor was great. A lot of information to learn in one week but definitely was a great course and the instructor was great. Very good. Instructor was excellent. Very good. Instructor was excellent. Great! Knowledgeable instructor. Great! Knowledgeable instructor. Covered what was required and knows the material from both field and training experience. Covered what was required and knows the material from both field and training experience. All of the instructors were very knowledgeable about this field. I think there was over 100 years of experience from all... All of the instructors were very knowledgeable about this field. I think there was over 100 years of experience from all the instructors combined. I will be taking more classes with them. He was a great instructor. He carefully reviewed all the rules and regulations in a real world scenario and talked about... He was a great instructor. He carefully reviewed all the rules and regulations in a real world scenario and talked about real projects and work situations. The class was great! Learned a lot! The class was great! Learned a lot! Great Class. I learned a lot taking this course. All of the instructors were GREAT. Great Class. I learned a lot taking this course. All of the instructors were GREAT. Great class. The instructors are experienced and have a lot of knowledge. Good job! Great class. The instructors are experienced and have a lot of knowledge. Good job! The instructor was very informative and made the class interesting. Learned a lot in just five days and look forward to the... The instructor was very informative and made the class interesting. Learned a lot in just five days and look forward to the next class! Great experience. Instructors were great! Great experience. Instructors were great! Very informative, instructional. Great instructor. Very informative, instructional. Great instructor. Instructor was very helpful with the information about all that’s involved with asbestos. Instructor was very helpful with the information about all that’s involved with asbestos. Orrett was the best. He tried to make the education exciting and efficient. I really didn't understand how the time flew... Orrett was the best. He tried to make the education exciting and efficient. I really didn't understand how the time flew so fast and I learned that much. Mr Orrett Was great! Didn't move on without everyone understanding the materials. Hands-on was outstanding second to None!!... Mr Orrett Was great! Didn't move on without everyone understanding the materials. Hands-on was outstanding second to None!! I'll recommend this to anyone in this field. Great atmosphere, Great down to Earth People, Great Knowledge in the Work Field. This Prepares You To Be Great In The Job Field And Also It Has To Be Great If Everyone Passed On The First Try At The Final Exam!!! Just Remember To Study 30min-1hr Daily!!! Mark Schlager was thorough in covering all the bases of Abstestos supervisor training. He was instructive and kept relatable. Mark Schlager was thorough in covering all the bases of Abstestos supervisor training. He was instructive and kept relatable.